A Florida gift that will bring a smile to their face in appreciation of your thoughtfulness. Includes a selection of sweet and flavorful premium Florida Oranges, a jar of Orange Blossom Honey and a jar of delicious Orange Marmalade. The sweet taste of Florida at an affordable price. Sign up to be notified when Keepsake Box is in season. 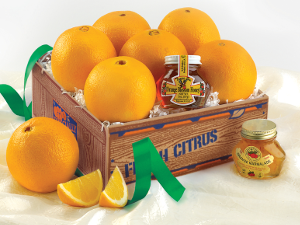 The Florida Keepsake Mini Deluxe Gift Box of Oranges, Jelly and Honey is available November through April. 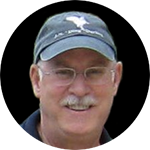 It can be shipped to most of the lower 48 US states and eastern Canada. The pack can not be shipped to Arizona, California, Louisiana, Texas and parts of Nevada and Oklahoma due to USDA regulations.